The new Pagani Huayra Roadster will be a limited production edition, and just 100 units will be made, and if you are interested in owning it, you are already too late because all of them were reserved even before the vehicle’s introduction at the Geneva Motor Show. Limited edition means that only extremely rich people can own it, but there is still something left for the regular folks because the automaker invented a comprehensive configurator. The idea is that you can set specifications for your imaginary Huayra Roadster just how you like it. Being one of the more luxurious brands, Pagani can create their models with any color or carbon fiber tint that exists, but only 12 exterior finishes are available for the enthusiasts to choose between. Still, it is worthy to take a look instead of just imagining how your perfect Huayra Roadster would turn out to be. Other than the body paint, you can also choose between four different colors and shades for the wheels. Inside the cabin, the company offers three different leather interiors which you can incorporate with the exterior of the model. 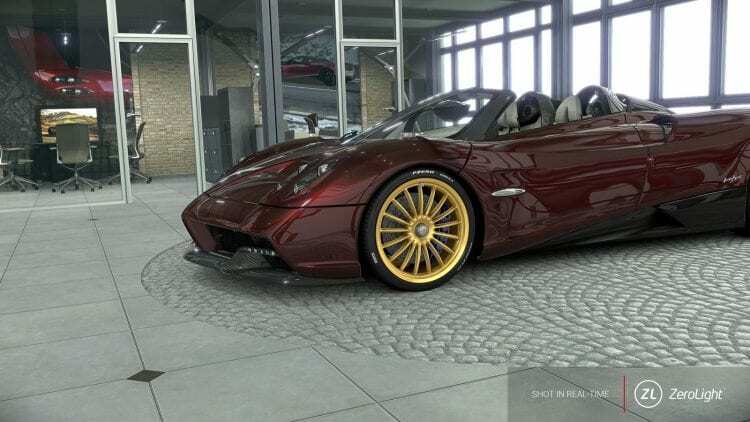 Pagani can also create a video of your custom vehicle which is another step further towards making fans happy by allowing them to see their creation from different angles. The company did not want for the Roadster to be just a convertible version of the Coupe. Instead, the model was heavily modified which made it lighter and more rigid than the hardtop. When it comes to what’s under the hood, Pagani Huayra Roadster has an upgraded 6.0-litre AMG twin-turbo V8 engine capable of producing 754 hp and over 738 lb-ft (1,000 Nm) of torque. Pagani borrowed the transmission from the Huayra BC.